A business is nothing without its staff and educating them is important in reducing the amount of paper used around the office. Changing your mindset is important, so don’t just use paper unless it is necessary, like only printing a final copy and not drafts to read through when you can do your read through on the computer screen. The next option is reusing paper as much as possible by printing on both sides or using scrap paper for note taking which both ways can make a real difference over the course of a year. Lastly, putting recycling processes in place to make sure that you are doing more to put paper back into circulation once more. Everything we do nowadays in based online and without the internet many businesses would not be able to function. This makes cutting down on paper usage far simpler as there are alternative ways to correspond with customers on a daily basis. Instead of wasting paper all communications can be done via email or phone to stop so much paper being consumed in business. This can help cement links to customers who appreciate businesses trying to become more environmentally-friendly. A time when a lot of paper is consumed is around the festive season as businesses send out festive greeting cards to their clients to touch base and boost relationships. Many organizations see this as a huge opportunity to reach out to current and prospective customers and will not forfeit it for that reason. A more eco-friendly way to send out festive greetings and save on paper is to transfer the Christmas mail out to email. Corporate ecards enable you to email a personalized and interactive message to your client base in seconds without using tonnes of paper. 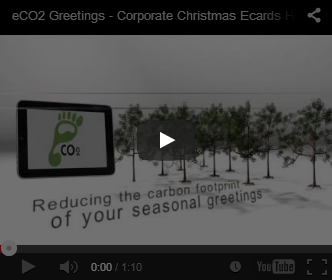 Click here for ecards, if they seem like the ideal method for your business.